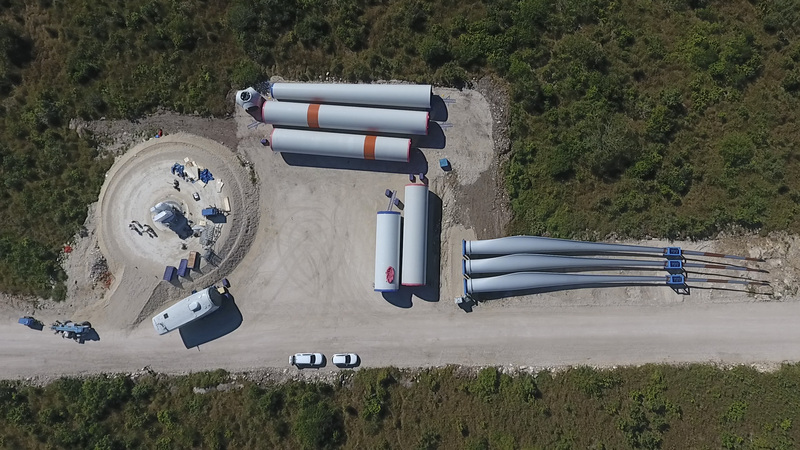 Fourteen towers for wind turbines, out of a total of 28, have been already installed in the area, according to state officials…. DZILAM DE BRAVO – In order to verify the status of the Dzilam de Bravo wind farm, the head of the Ministry of Economic Development (Sefoe), Ernesto Herrera Novelo, visited it accompanied by the General Director of the Vive Energía Company, Benigno Villarreal del Río, who indicated that they have already finished 70% of the construction works. 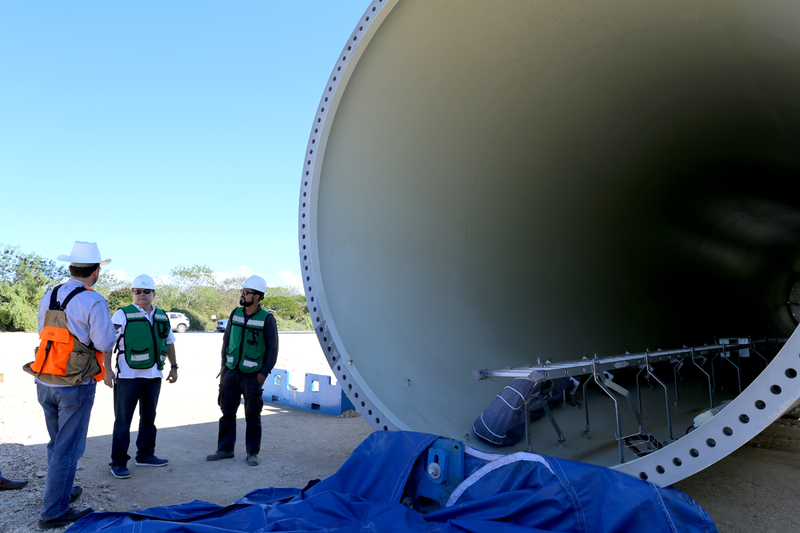 Herrera Novelo pointed out that Dzilam is the first of nine private wind and solar generation facilities planned for Yucatan, which will produce electricity for the Federal Electricity Commission (CFE). 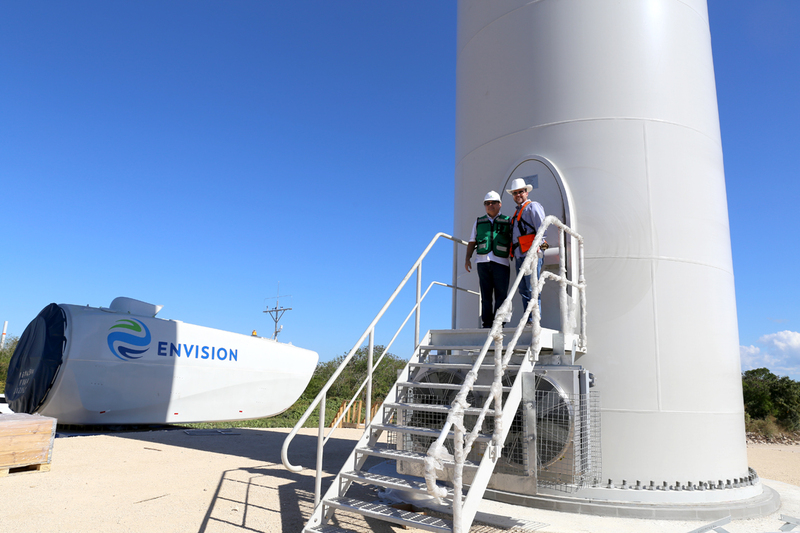 For his part, Villarreal del Río explained that they are in the final stage of the work and that the assembly of the wind turbines has already begun, so they would begin operations between the end of this year and the beginning of 2018. Currently there are around 250 people working in the place; once this phase is finished, some 12 engineers and site professionals will be hired for the operation, he said. 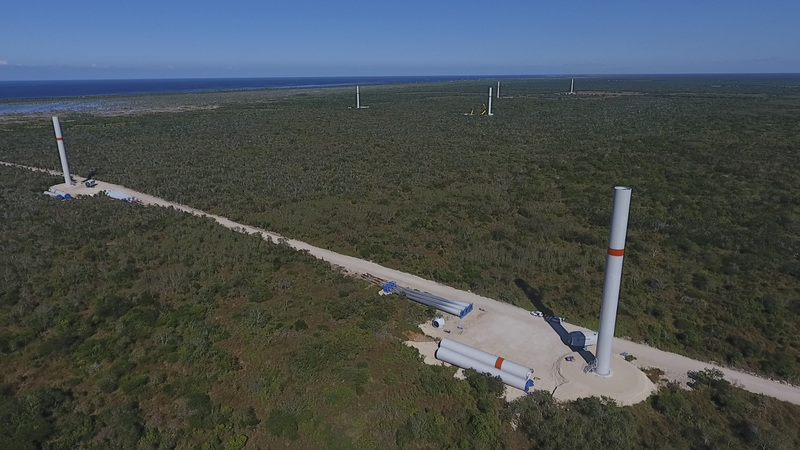 The extension of the land is one thousand 300 hectares, where will deploy the 28 wind towers with a capacity of 2.5MW each, to add a total of 70MW that will be used to supply private companies including Mars Chocolate, Cinépolis and the suburban train of the Valley of Mexico. The technical director of the company, David Muciño Morales, explained that the space they use represents only 3% out of the total area and the rest remains untouched, which preserves the surrounding environment. In this regard, he noted that the Dzilam de Bravo Wind Farm has taken five years to complete due to the procedures to obtain the permits and licenses for land use, construction and road crossings; as well as the authorization of environmental impact, among others, granted by organizations such as the National Institute of Anthropology and History (INAH) and the Ministry of Environment and Natural Resources (Semarnat), as well the three branches of government.